One area I wasn’t expecting to gain much knowledge in from attending Conversion Conference Chicago is Facebook marketing. I’m not talking about more fans or people liking your cat pictures; I’m talking about measurable ROI. 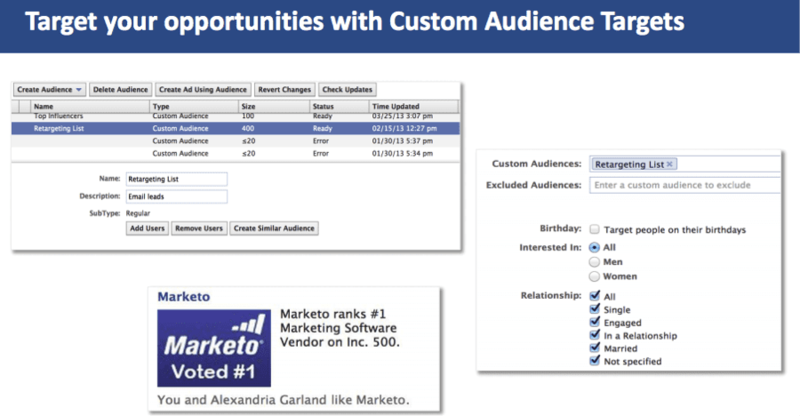 Match your existing customer base (email list) to Facebook and create a lookalike audience. This will build a targetable audience of new prospects based on the demographic data of your existing customers. 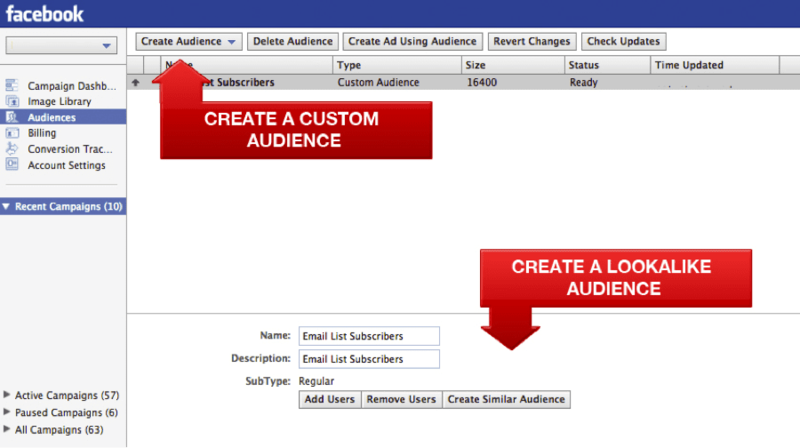 Upload your list as a custom audience using Facebook’s free Power Editor plugin. For B2C expect a 70% match rate if your list is good. 30-40% for B2B. 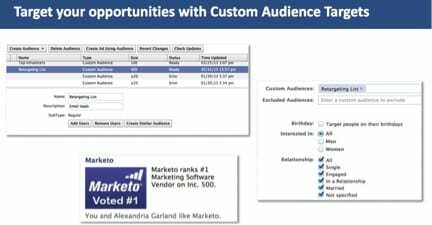 Create a lookalike audience via the Audiences tab. 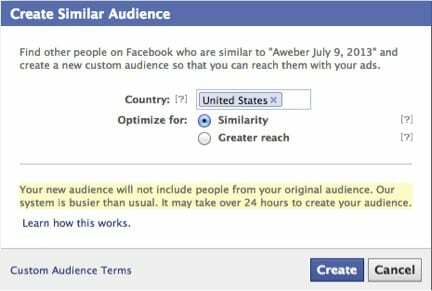 Facebook will automatically match your existing list with new prospects that have similar interests and demographic qualities such as age, gender, and geographic location. No testing needed, Facebook does the heavy lifting for you. The more granular you are with targeting the better the results. Using onion targeting you can create a few broad ads with larger audiences and dial in your demographic then multiply each audience that works. Start with an ad that targets a few interests with an audience somewhere around 10,000. This is a good rule of thumb to minimize testing cost while still having enough data to make statistically significant decisions. If that ad does well, filter it using a different target like age, gender or a broad category. Keep multiplying out combinations using the Power Editor to see what the most effective combo is. Keep in mind you can be as granular as targeting 35 year-old men that drink energy drinks, drive a Ford pickup truck, and live in Kansas – take advantage of this! 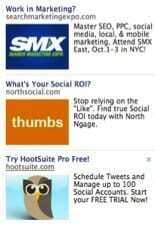 To take it to the next level run unpublished page post ads in the newsfeed that only your targeted audience will see. 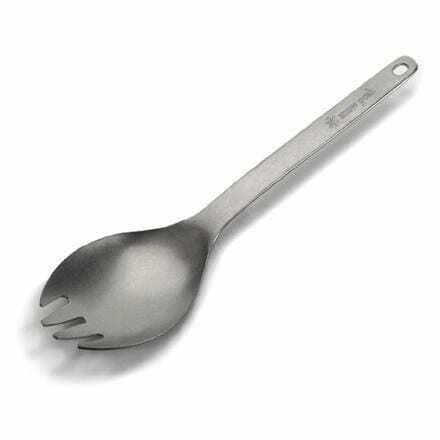 These are also known as dark posts. Traditional right hand side (RHS) ads just aren’t effective anymore – 7 small ads crammed on the side all competing for your attention. 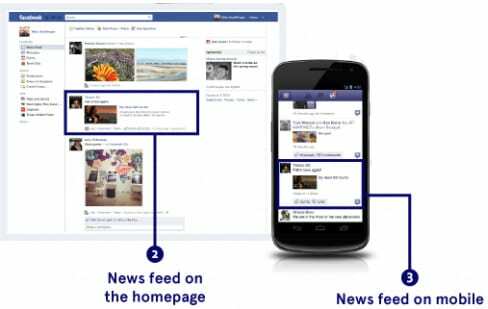 Running ads in the newsfeed costs around 5X more per impression than RHS ads but you will often see a lower CPC because a 2-3% CTR is achievable. CTR’s have been phenomenal for well-executed campaigns. Most people don’t even realize these are ads but the ones that do get militant if bombarded; limit your ad frequency to 3 to avoid this. People unsubscribe from your list; reconnect with them on Facebook and get them back into your lead nurturing program. Offer a “welcome back” discount or a special piece of content or free consultation. Why might someone unsubscribe from you in the first place? Build your campaign around these reasons. Set a retargeting pixel so you can follow them around online – multi-touch conversion at it’s best! FYI: This is considered “gray hat” because all custom audiences must be opt-ins. So you can’t do things like rent a list or scrape Facebook user ID’s, this probably isn’t enforceable but it is in the Terms of Service. 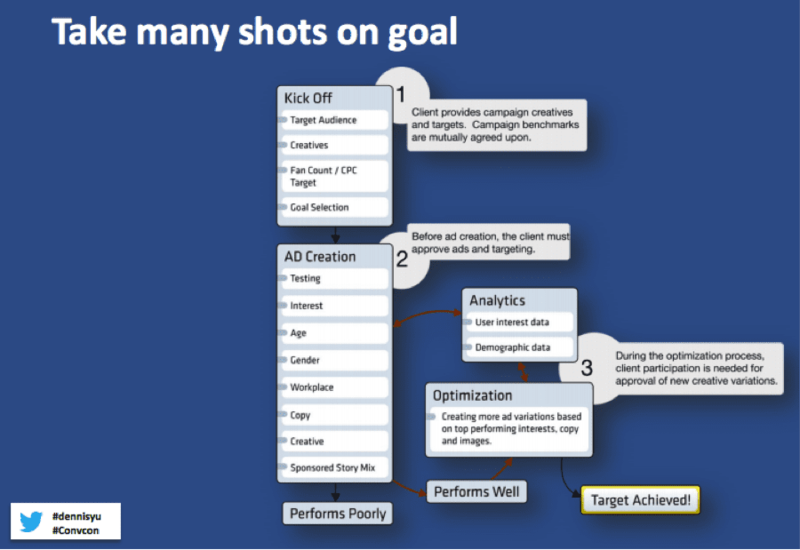 Check out Dennis’ slidedeck and the BlitzMetrics blog for more Facebook marketing ideas. Tom Lambert is a full-time Internet marketer on a mission for more efficient online marketing and less wasted conversion opportunities. 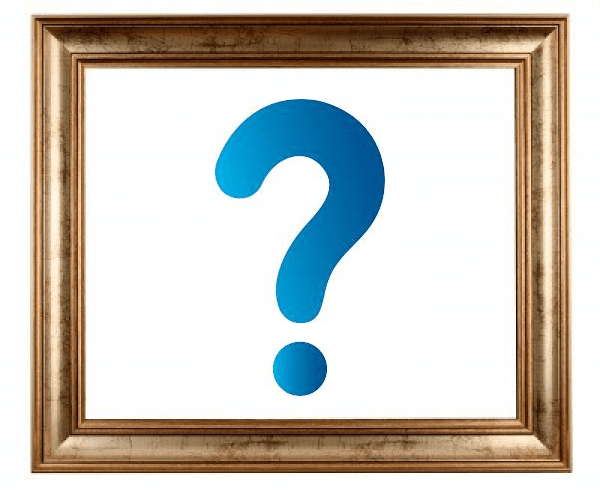 When he’s not busy reading and doing he writes an Internet marketing blog focused on the topics of conversion, optimization, and usability called Conversion Juggernaut.